'The Mezzanine' is a lovely apartment on the first floor of the sixteenth-century palace belonged to the Del Taja family, a cadet branch of the famous Piccolomini family. 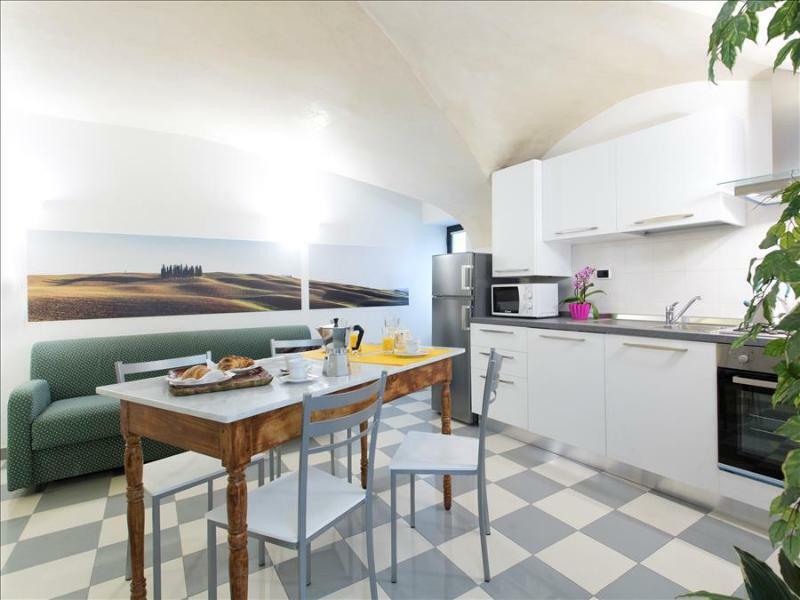 It is located in the city center a short walk from Piazza del Campo and the Siena main street. It consists of a large living room with a well equipped kitchen, with a table for 4/6 people, a sofa bed and flat screen TV, a bathroom with large shower, a utility room, two bedrooms, one bedroom with sitting area and a twin / double beds with wardrobe. The apartment overlooks the interior of the palace courts, and enjoying the peace of mind and the absence of city chaos. A recent renovation has given new livability to the living room and bedroom, pretty defining details, combining the modern with the ancient, with the result that it has created a very pleasant apartment to live. The apartment is equipped with all the amenities to make your stay enjoyable, such as a microwave oven, flat screen TV, wi-fi internet, iron and ironing board, hair dryer, washing machine, dishwasher, electric oven, vacuum cleaner etc. 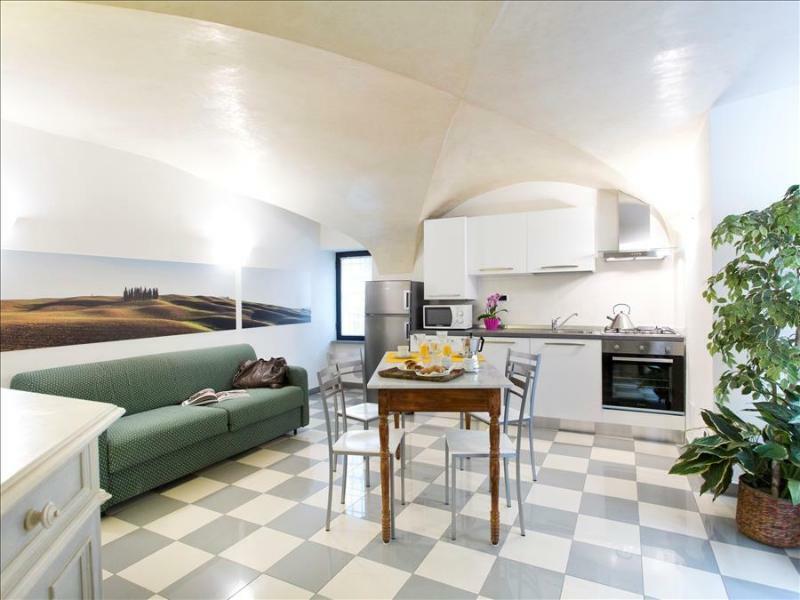 Positioned in the center, it guarantees full of Siena atmosphere livability, especially in the period of the Palio; the links are only to the major destinations in the nearby Piazza Gramsci. 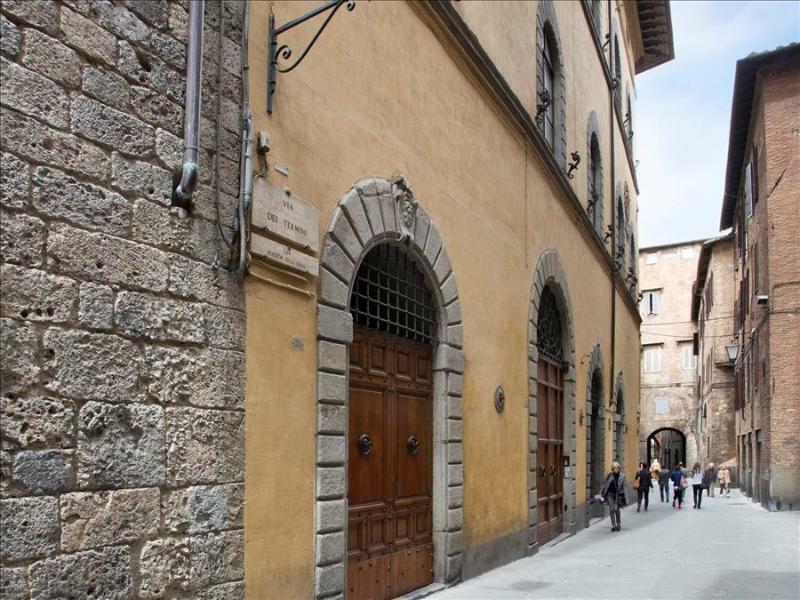 All attractions of historical and artistic interest that the center of Siena offers are within walking distance in minutes. 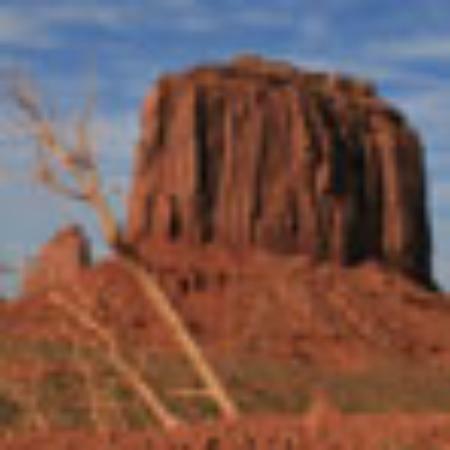 Additional amenities include: concierge, private chef, sofabed, coffee maker, iron/board, shopping, kitchen utensils, mid-stay cleaning, winery tours, senior friendly, museums, child friendly, long term, family friendly, downtown.